^ 1.0 1.1 1.2 1.3 1.4 1.5 La Liga Statistics – 2016–17. ESPN FC. Entertainment and Sports Programming Network (ESPN). [25 August 2016]. ^ Javier Tebas: "Our recommendation is for the LaLiga season to start on 21 August". LaLiga.es. 5 May 2016 [23 May 2016]. ^ D. Alaves seal promotion whilst Leganes and Nastic both win. La Liga. 29 May 2016 [30 May 2016]. ^ Leganes win historic first promotion to Liga BBVA.. LaLiga.es. 4 June 2016. ^ Osasuna triumphant in Girona to clinch promotion. LaLiga.es. 18 June 2016. ^ Instalaciones. Deportivo Alavés. [29 May 2016] （西班牙语）. ^ Athletic Club - San Mamés (2013). Athletic Club. [10 April 2016]. ^ Club Atlético de Madrid - Facilities. Club Atlético de Madrid. [4 March 2016]. ^ Camp Nou - FC Barcelona. FC Barcelona. [4 March 2016]. ^ Riazor: datos generales. Deportivo de La Coruña. [9 May 2016]. （原始内容存档于2016年6月3日）. ^ IPURUA Y ATXABALPE. SD Eibar. [25 April 2016]. ^ RCDE Stadium - Ficha Técnica. RCD Espanyol. [9 May 2016]. ^ DATOS DEL CLUB. Granada CF. [9 May 2016]. ^ Estadio de Gran Canaria. UD Las Palmas. [25 April 2016]. （原始内容存档于2016年5月10日）. ^ El Leganés agota el cupo de abonos disponibles para esta temporada. CD Leganés. [28 August 2016]. ^ ESTADIO LA ROSALEDA. Málaga CF. [25 April 2016]. ^ El Club. Datos Generales.. CA Osasuna. [23 June 2016] （西班牙语）. ^ Real Betis Balompié - Estadio Benito Villamarín. Real Betis. [9 May 2016]. （原始内容存档于2016-05-02）. ^ Santiago Bernabéu Stadium. Real Madrid C.F. [7 March 2016]. ^ El estadio - Real Sociedad de Fútbol. Real Sociedad. [25 April 2016]. ^ El Molinón. Sporting Gijón. [16 May 2016]. ^ Valencia Club de Fútbol - Camp de Mestalla. [25 April 2016]. ^ 2011/12 UEFA Champions League statistics handbook - Clubs continued (PDF). UEFA. ^ Amaia Gorostiza, new Eibar president (Spanish). Marca. 28 May 2016. ^ Jiang Lizhang será el primer presidente extranjero del Granada CF. El Ideal de Granada. 16 June 2016 [16 June 2016] （西班牙语）. ^ GoldenPark joins Leganés in the First Division.. DeportivoLeganes.com. 28 July 2016 [28 July 2016] （西班牙语）. ^ Marathonbet: Málaga CF's new sponsor.. malagacf.com. [3 August 2016] （西班牙语）. ^ Vicente Iborra appoints as Sevilla's first captain this year. AS.com. [11 August 2016] （西班牙语）. ^ Javier Fernández será el nuevo presidente del Sporting. Marca. 20 June 2016 [20 June 2016] （西班牙语）. ^ "Hemos ordenado en un 85% la situación del club", dice De Santiago. El Comercio. 20 May 2016 [6 June 2016] （西班牙语）. ^ Javi Gracia confirms exit from Málaga. beIN Sports. 24 May 2016 [28 May 2016]. ^ Juande Ramos takes reins at Málaga. LFP.es. 28 May 2016 [28 May 2016]. ^ Constantin Gâlcă will not continue as Espanyol manager (Spanish). Mundo Deportivo. 27 May 2016 [28 May 2016]. ^ Quique Sanchez Flores appointed as Espanyol boss. La Liga. 9 June 2016 [9 June 2016]. ^ Víctor Sánchez del Amo stops being RC Deportivo coach. 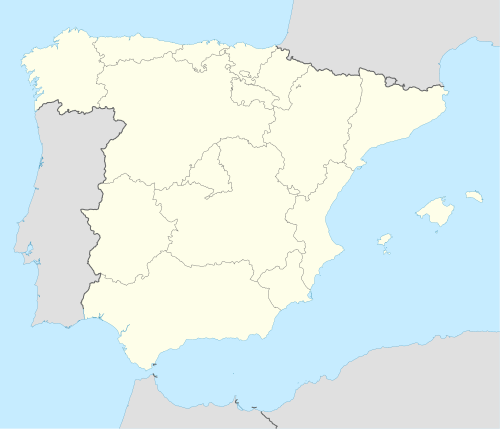 LaLiga (La Liga). 30 May 2016 [30 May 2016] （西班牙语）. ^ Gaizka Garitano to be unveiled as new Deportivo coach. AS Spanish. 10 June 2016. ^ El Sevilla anuncia la marcha de Emery y confirma la llegada de Sampaoli [Sevilla announce departure of Emery and confirm Sampaoli's arrival]. 馬卡報. 12 June 2016 [12 June 2016] （西班牙语）. ^ Granada CF confirm Paco Jemez as new coach. LaLiga.es. 20 June 2016 [20 June 2016]. ^ Bordalás deja de pertenecer a la disciplina del Alavés. Deportivo Alavés. 21 June 2016 [21 June 2016] （西班牙语）. ^ Mauricio Pellegrino, nuevo entrenador del Deportivo Alavés. 26 June 2016 [26 June 2016] （西班牙语）. ^ Villarreal sacks Marcelino after facing his players. As.com. 10 August 2016 [10 August 2016] （西班牙语）. ^ Fran Escribá, new Villarreal CF manager. Villarreal CF. 11 August 2016 [11 August 2016]. ^ Pako Ayestarán deja de ser entrenador del Valencia. LaLiga.es. 20 September 2016 [20 September 2016] （西班牙语）. ^ Struggling Valencia appoint Cesare Prandelli as new coach. As.com. [28 September 2016]. ^ Granada sack Jemez. football-espana.net. 28 September 2016 [28 September 2016] （英语）. ^ Granada name Lucas Alcaraz to manage club for rest of season. ESPN FC. 3 October 2016. ^ CA Osasuna move on from coach Enrique Martín. laliga.es. 7 November 2016 [7 November 2016] （英语）. ^ Joaquín Caparrós, Osasuna's new manager. Marca. [8 November 2016] （西班牙语）. ^ Gus Poyet set to lose his job as Real Betis boss with Spanish club hovering above La Liga relegation zone. DailyMail.co.uk. [11 November 2016]. ^ Víctor Sánchez del Amo replaces Poyet in charge of Real Betis. La Liga. [11 November 2016] （西班牙语）. ^ Al-Thani announces Juande resignation on social media. As. [24 December 2016]. ^ Dimisión de Cesare Prandelli. Valencia CF. [30 December 2016] （西班牙语）. ^ Valencia name Voro González manager for rest of the season. ESPN FC. [10 January 2017]. ^ Osasuna sack Joaquín Caparrós after just eight games in charge. As English. [5 January 2017]. ^ Pitu Abelardo deja de ser entrenador del Sporting. Sporting de Gijón. [17 January 2017] （西班牙语）. ^ Struggling Deportivo La Coruña sack coach Garitano after four straight defeats. Indian Express (indianexpress.com). 27 February 2017 [27 February 2017] （英语）. ^ Official: Pepe Mel new Deportivo coach. Eurosport. 27 February 2017 （西班牙语）. ^ Malaga CF part ways with coach Marcelo Romero. La Liga. 7 March 2017. ^ Michel takes charge at Malaga CF. La Liga. 7 March 2017. ^ 62.0 62.1 Tony Adams named as Granada manager until end of season. theguardian.com. The Guardian. 10 April 2017 [10 April 2017]. ^ 63.0 63.1 Real Betis sack Víctor Sánchez del Amo, Alexis Trujillo to serve in interim. ESPN FC. [9 May 2017]. ^ Jiang Lizhang will be the first foreign president of Granada CF. ideal.es (ideal.es). 16 June 2016 [16 June 2016]. ^ The 32 refereeing decisions which have gone in Madrid's favour this season. .
^ 2016–17 La Liga Top Scorers. ESPN FC. Entertainment and Sports Programming Network. [25 August 2016]. ^ Stats - Liga de Fútbol Profesional. ^ 2016–17 La Liga Top Assists. ESPN FC. Entertainment and Sports Programming Network. [22 January 2017]. ^ Trofeo Zamora La Liga Santander - MARCA.com. MARCA.com. ^ Quique Setien, LaLiga Santander's Coach of the Month for August. LaLiga. 8 September 2016 [8 September 2016]. ^ Jon Ander Serantes, LaLiga Santander's Player of the Month for August. LaLiga. 8 September 2016 [8 September 2016]. ^ Ernesto Valverde named LaLiga Santander Manager of the Month for September. LaLiga.es. 14 October 2016 [14 October 2016]. ^ Antoine Griezmann named LaLiga Santander Player of the Month for September. LaLiga.es. 14 October 2016 [14 October 2016]. ^ Jorge Sampaoli named LaLiga Santander Manager of the Month for October. LaLiga.es. 14 November 2016 [14 November 2016]. ^ Iago Aspas named LaLiga Santander Player of the Month for October. LaLiga.es. 14 November 2016 [14 November 2016]. ^ Eusebio Sacristan named LaLiga Santander Manager of the Month for November. Liga de Fútbol Profesional. ^ España, Madrid,. Diego Lopez named LaLiga Santander Player of the Month for November. Liga de Fútbol Profesional. ^ Fran Escriba named LaLiga Santander Manager of the Month for December. La Liga. 13 January 2017. ^ Florin Andone named LaLiga Santander Player of the Month for December. La Liga. 13 January 2017. ^ Eduardo Berizzo named LaLiga Santander Manager of the Month for January. La Liga. 7 February 2017. ^ Steven N'Zonzi named LaLiga Santander Player of the Month for January. La Liga. 7 February 2017. ^ Jose Luis Mendilibar named LaLiga Santander Manager of the Month for February. La Liga. 10 March 2017. ^ Sergi Enrich, Mejor Jugador de LaLiga Santander en febrero. La Liga. 10 March 2017 （西班牙语）. ^ Diego Simeone named LaLiga Santander Manager of the Month for March. La Liga. 4 April 2017. ^ Antoine Griezmann named LaLiga Santander Player of the Month for March. La Liga. 4 April 2017. ^ Michel Gonzalez named LaLiga Santander Manager of the Month for April. La Liga. 12 May 2017. ^ Lionel Messi named LaLiga Santander Player of the Month for April. La Liga. 12 May 2017.